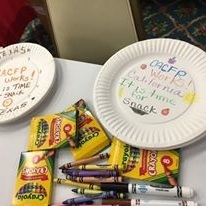 FRAC says Organize a Paper Plate or Post Card CampaignPaper Plate and Post Card Campaigns can effectively engage large numbers of people with minimal cost or time commitment. 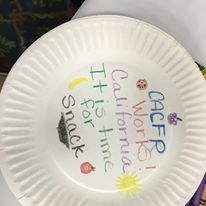 They are meant to capture the personal stories of constituents and send a clear message to legislators about what they think should be done to end hunger and why the federal nutrition programs are vital to your community. 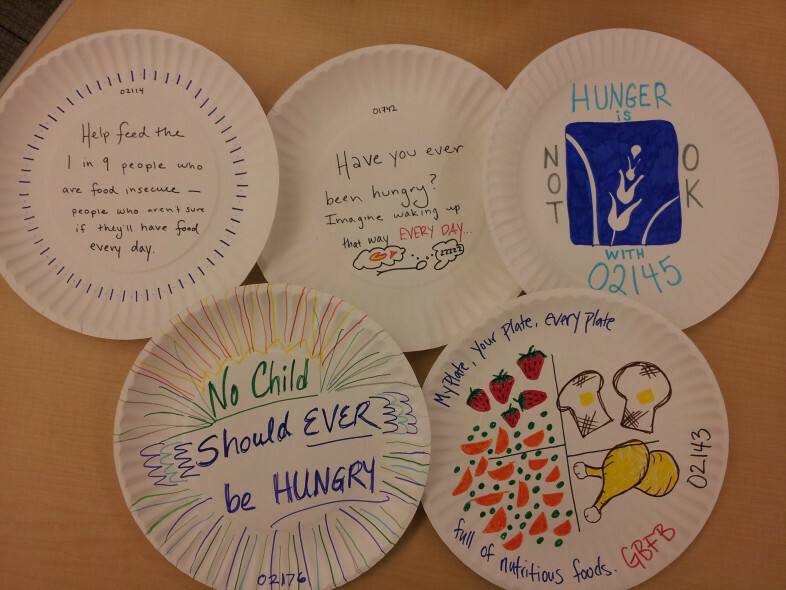 Examples of paper plate campaigns can be found on FRAC’s Pinterest page. 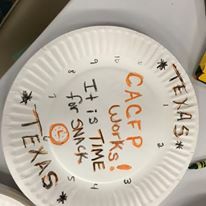 You can make a photo album highlighting your organization’s work and pictures from a federal nutrition program in action. Schedule a meeting with your elected official and/or staff to discuss your priorities to deliver the photo album. 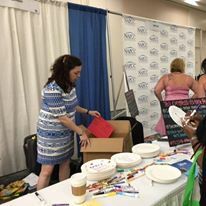 You can make a photo album from digital photos online from many different sites. 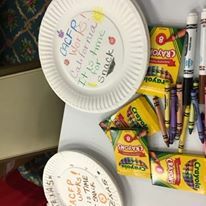 NAFCC Institute started their off with a Call to Advocacy. 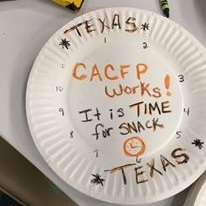 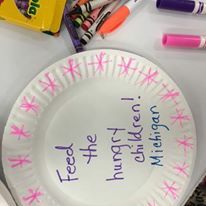 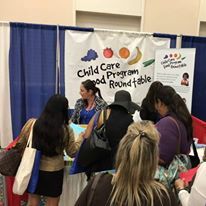 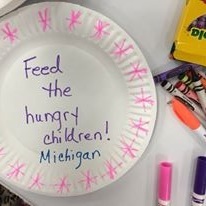 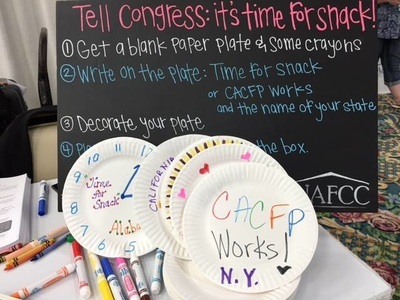 The National Family Child Care Association launched a paper plate campaign in San Diego with a "CACFP Works, Time for Another Snack" campaign and are sending hundreds of paper plates to the Hill. 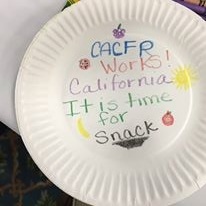 Not sure what to do next email: policy@nafcc.org. 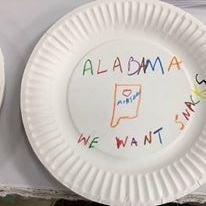 At the 8th National Farm to Cafeteria Conference last month, more than 350 people joined us in writing on paper plates what school meals and farm to school mean to their communities. 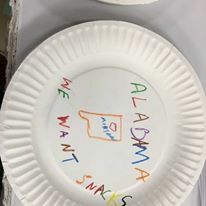 In the next few weeks, we’ll be delivering these plates to lawmakers as they continue to debate this important piece of legislation.